While most teenagers are still snoozing at 4:30 a.m., a group of high school interns are waking up to prepare for their workday at Calaveras Power Station. At 6:30 a.m., Erik Herrera, Gabriel Luna, Antonio Islas, Landon Sowder and Martin Morales take part in daily safety meetings for their work areas. Afterward, the interns receive work assignments and head to their jobsites to get more hands-on experience with Power Generation. The interns are part of our Students Interested in Technical Education (SITE) program, which provides opportunities to learn about various trades such as welding, manufacturing, information technology and heavy equipment. Antonio Islas, a senior at Sam Houston High School, is spending his summer internship sharpening his welding skills. Islas is enrolled in the welding program at Alamo Academies, a program offered through Alamo Colleges. One task Islas enjoys is rebuilding and maintaining the gear boxes of soot-blowing lances located inside the power stations’ boilers. The lances use high pressure steam to remove ash – preventing it from caking on the boiler walls. While job tasks are challenging enough, the interns are also learning that working safely, especially in the summer heat, is the number one priority. 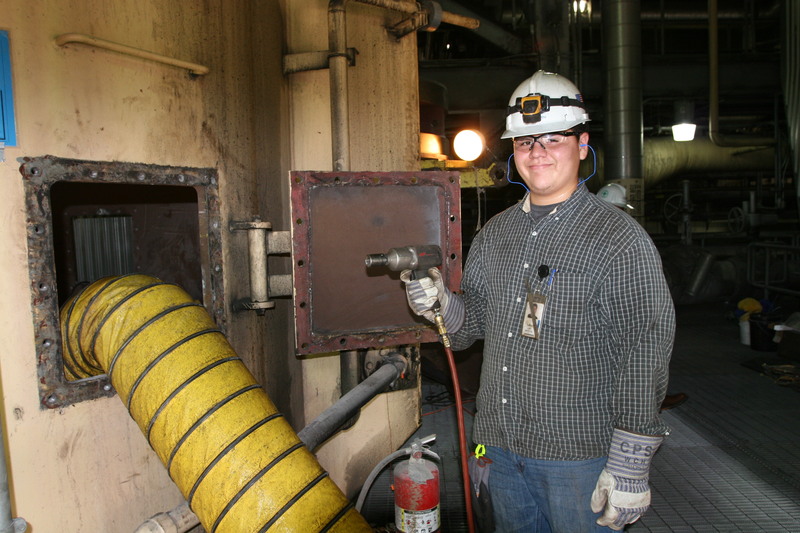 Intern Gabriel Luna does maintenance work on a coal pulverizer at Calaveras Power Station. Other important lessons related to safety include the importance of Personal Protective Equipment (PPE) and good communication with team members. 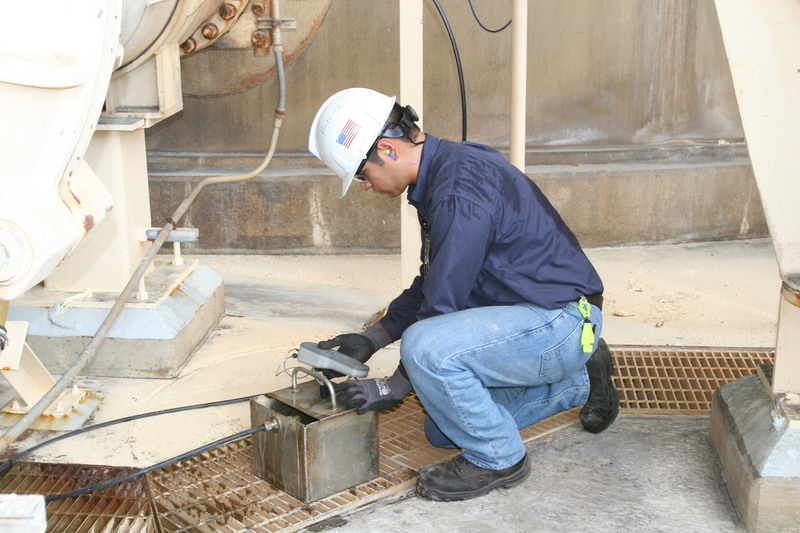 Intern Erik Herrera is learning more about power plant instrumentation this summer. Herrera recently graduated from Warren High School and was part of the Aerospace program at St. Phillip’s College. He plans to attend Texas State Technical College in Waco to earn his degree in Instrumentation. His career goal is to become an instrumentation technician, which will enable him to work in a variety of industries. One of the main objectives of our SITE program is to develop a pipeline of young workers, preparing them for jobs within our industry. That’s the hope of interns like Martin Morales, a senior at East Central High School who is learning the role of a machinist, and plans to seek employment with us someday.